Planify Group Travel mobile application allows its users to always have a complete and up-to-date program of their trips in their pocket. Organizers of group travels who use Planify, ranging from study trips to incentive travels, benefit from a highly structured and user-friendly web platform to design and enrich travel itineraries with all the needed information for a pleasant trip. Group travel organizers face many challenges in planning trips and sharing detailed programs with travel participants. Put under pressure by participants asking for full travel plans while waiting for last-minute changes to provide a “final” travel program, group travel organizers often end up relying on PDFs or paper programs. Instead of sending new iterations of the program by email on a regular basis, what could group travel organizers do to meet participants’ needs while adjusting the program at the same time? Use Planify! With smartphones now being ubiquitous, Planify mobile application offers a simple, engaging, and cutting-edge experience for incentive or group travel participants to always have the most recent version of their trips at their fingertips. 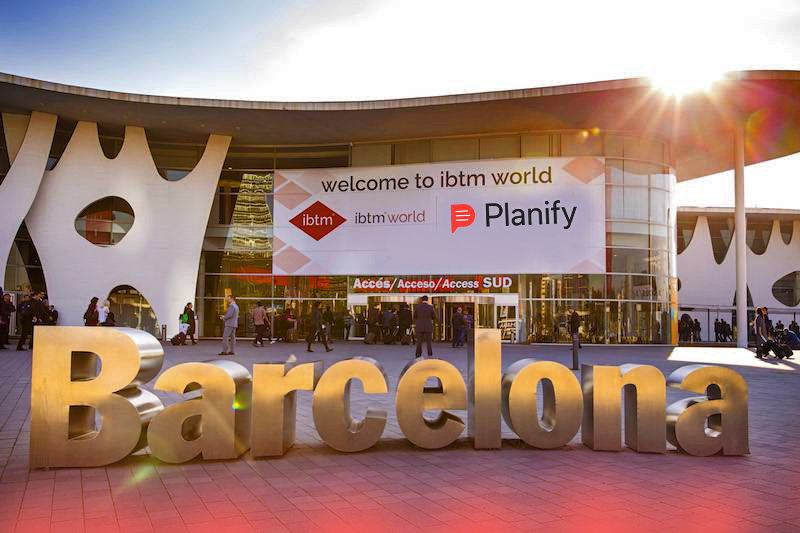 After its successful commercial launch at the beginning of 2017, Planify will be exhibiting at the famous ibtm world travel fair, which will take place in Barcelona from November 28th to 30th. ibtm world is the leading global event for the industry of meetings, incentives, conferences, and business trips, gathering more than 15’000 professionals from the MICE industry (Meetings, Incentives, Conferencing & Exhibitions). Planify has been selected by the Society for Incentive Travel Excellence (SITE) to pitch to a selected audience of incentive travel professionals before the beginning of the ibtm world show. London-based Event Tech Lab, an association that supports event technology startups, has also chosen Planify to present its Group Travel solution on the main stage of ibtm world on Wednesday, 29th of November. Planify is used by leading Swiss travel agencies such as Finass Reisen or Tech Travel, which have chosen this mobile application to provide their customers with a modern solution for group travel. Visitor information centres like Lausanne Tourisme also use Planify for their “fam trips” (familiarization trips) to welcome media delegations to Switzerland. Available on both iOS and Android, Planify is an original solution that supports the digitalisation of the travel industry.